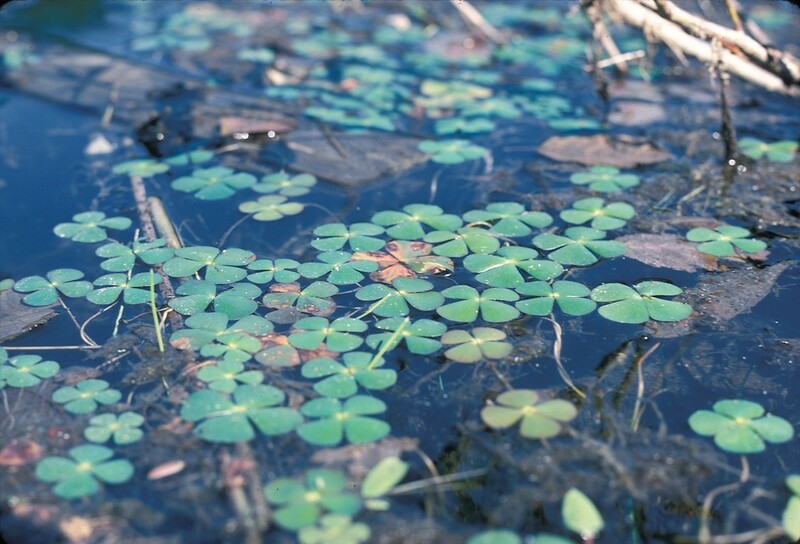 Water-clovers are aquatic or partially aquatic plants growing from creeping, horizontal stems that run along the soil surface under the water. 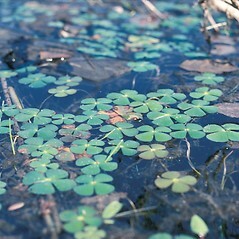 The single species in this family in New England has leaves with long petioles that grow from either side of the stem; its floating leaves are shaped like the leaves of clover. 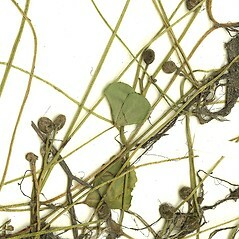 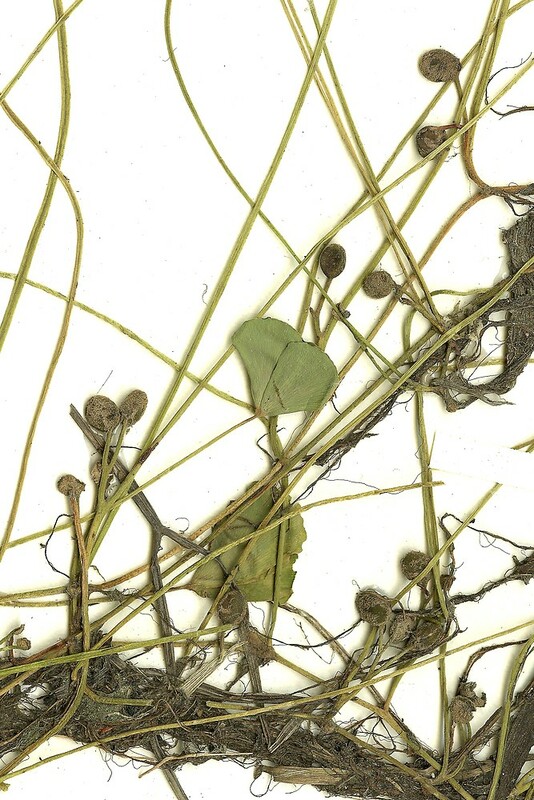 The sporangia are clustered within spherical or kidney-shaped structures called sporocarps, which grow at the tips of short stalks at the base of the leaves.